It was a land of the Nez Perce and later the Tonkawa Indians. It was a land of wildcatters and saloons, tamed by the 1893 land-run settlers and farmers. Today, over 100 years later, it's a land of wheat fields and higher education ... small town charm, yet convenient to major highways and large cities. Whether you are coming for a visit or looking for a place to call home, we invite you to explore Tonkawa, a community where, as the name "Tonkawa" says, "we all stay together." Known as the "Wheatheart" of Oklahoma, agriculture and education are at the heart of Tonkawa's continuing success. The Northern Oklahoma College (NOC) campus is home to more than 3,000 students and more than 250 ornamental plants and trees. Three interesting museums highlight Tonkawa's rich history and the Northern Performing Arts Center is host to the Redbud Jass Festival held annually in April. 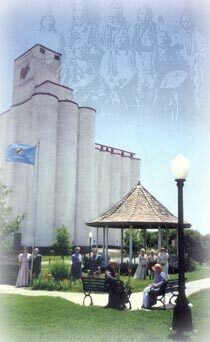 In 1997, the Tonkawa Historical Society purchased a building in downtown Tonkawa to house a museum. Ideally located directly across from Centennial Park, the McCarter Museum of Tonkawa History was opened on July 4th, 1997. The innovative interior layout was designed to tell a series of "stories."